Don’t allow mistakes in your bullet journal to trip you up. Check out these 5 creative tips to help you move past those hiccups. Today’s post is brought to you from Jessica at Zig Zags and Zebras. 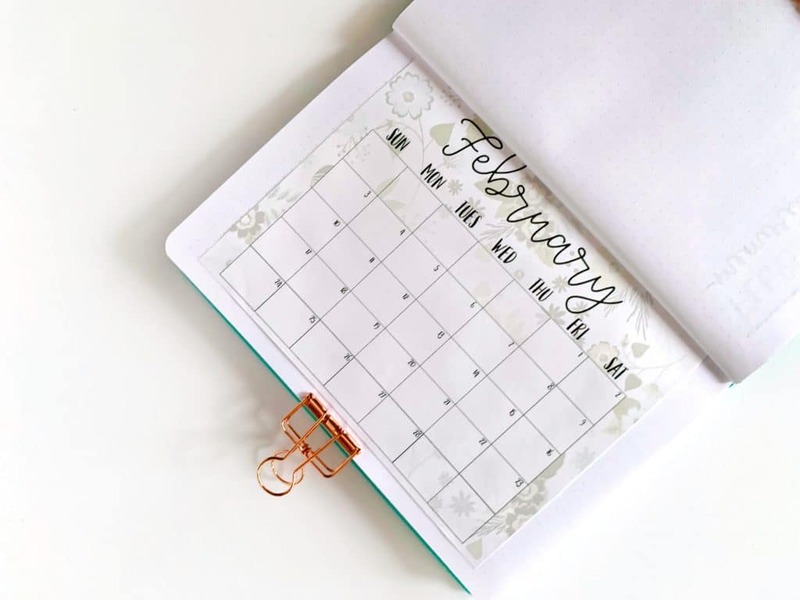 Jessica also blogs about bullet journaling, planning, and organization. 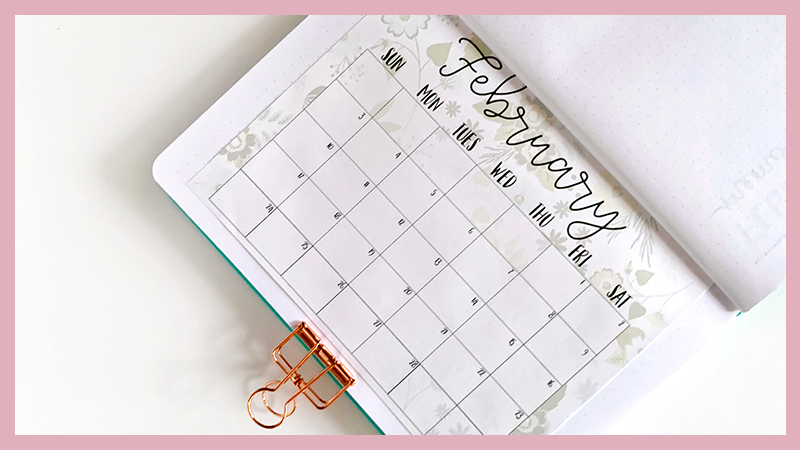 And she has been kind enough to share her best tips for moving past mistakes in your bullet journal here on The Petite Planner. Be sure to read until the end of the post to learn more about Jessica and get in touch with her on social media. We’ve all had that moment. You’ve spent what feels like hours perfecting the perfect monthly layout and when you sit back to admire your work you realize that apparently there are only 6 days in a week now, not 7! It’s hard not to be mad at where your brain was when you forgot to draw the boxes to make that seventh day. As easy as it is to admit defeat when you make a mistake in your bullet journal, I want you to know you shouldn’t have to! My hope is that next time you make a mistake (we’re human, it’ll happen) you can think back to this post and pull out one of these ideas to take back the page. 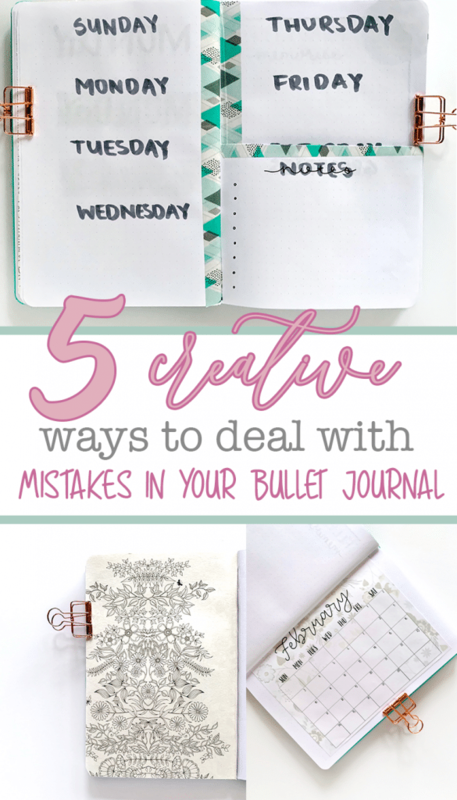 Now, let’s walk through 5 ways you can creatively deal with mistakes in your bullet journal. Right off the bat, we’re jumping in with my favorite ways to combat mistakes in my journal. I am a hoarder of colouring books, so I absolutely love being able to utilize them in different ways! This is a perfect method for when a whole page is a write off. Simply cut out a page from a colouring book (or print one out!) 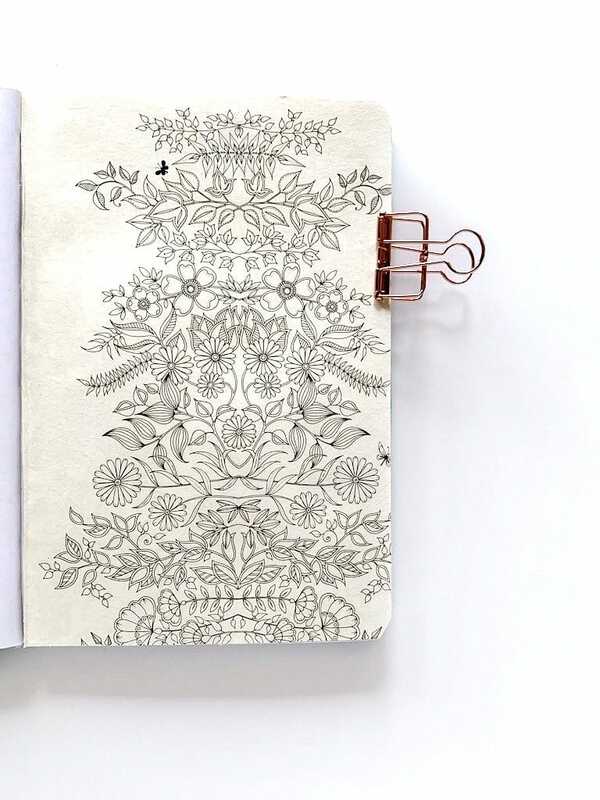 to fit your journal, and tape or glue it onto the page. My favourite way to add it to my journal is to use a tape runner, but simple scotch tape or a glue stick works fine too. The fun part of this method is that you can either grab a colouring page that you have already coloured, or you can tape in a blank one to colour in later! It’s always fun to colour while killing time. If you really want to stick to the point and get as much planning as possible done in your journal, tape a printable over the mistake! This is a good method if you absolutely need to use the page for planning, and you can’t sacrifice a page for something a bit less practical like a colouring page. There are so many free printables available, from daily/weekly planning pages, meal planners, trackers, and more. You’d be sure to find something that would work for you, and having the occasional printable in your journal makes a flip through really unique! If you’re anything like me you have a huge collection of washi tape. It seems to accumulate faster than I can use it, so why not bring it to the rescue when you need to fix a mistake in your journal? This is a good method when there’s a spelling error in a header, or some other mistake on the smaller side. Simply tape over the mistake with some washi and then you can write over it with a sharpie (water based pens will typically smudge, so this is the one time you have permission to use a permanent marker in your journal). That’s not to say you couldn’t cover your whole page with washi for bigger mistakes – however this is a personal favourite for mending header mix-ups! One thing I do want to note with this method is depending on the colour of ink that you made the mistake in, and the opacity of the washi tape, you may need more than one layer of washi tape to cover it up. Have you ever been halfway through a layout and you’ve realized that is not what you were trying to do?! Yep. In the example pictured I’m illustrating how to deal with a mistake in a weekly spread. If you’ve ever been wanting to try the oh-so-popular dutch door layouts this would be a good excuse to give it a shot. Simply put, a dutch door is when you cut a page in half and it becomes a part of your spreads for the following page. It’s popular in weekly spreads, however you could use it for anything you can think of! 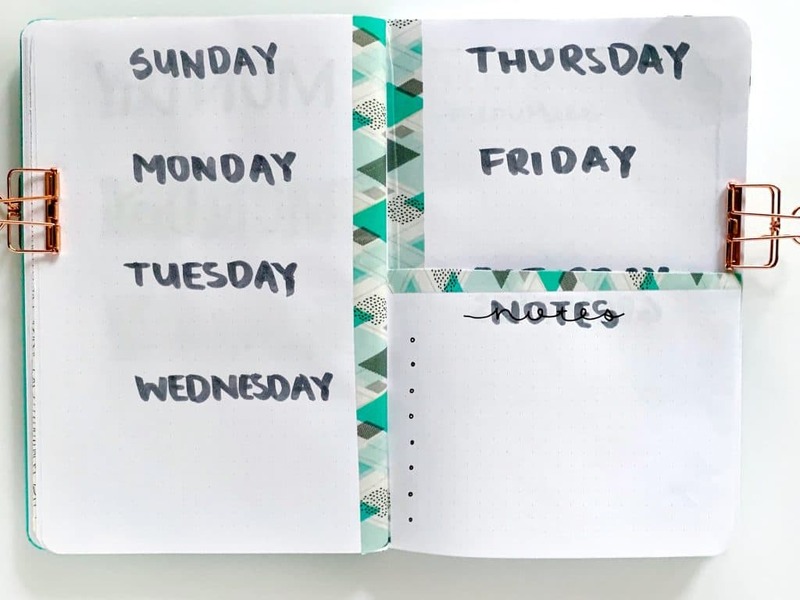 My fourth suggestion for fixing a mistake in your bullet journal would be to use scrapbook paper! There are so many stunning scrapbook paper packs, and you can snag them for close to nothing when they’re on sale (I’m looking at you Michaels). For fixing small errors you can cut out a small piece of scrapbook paper (maybe one with a nice design!) and tape it over the mistake. I also love laying pages with scrapbook paper. If you’ve made a bigger mistake you can cut a piece of scrapbook paper to fit your page, and then take a smaller piece of paper from your journal (if it has perforated pages – otherwise a piece of printer paper works fine) to stick over top. This still allows you to utilize the page for planning, but now it has a pretty border. Many journals (like the Leuchtturm1917) have some perforated pages in the back that don’t usually get used – so give them a purpose! My last tip for dealing with mistakes in your bullet journal is to simply embrace the mistake. The beauty of the bullet journal system is that you can easily flip the page and start over. If you are really concerned about making mistakes a simple tip is to always sketch out your layout with pencil before, or use a ruler when designing your spreads.. However, at the end of the day your planner should evolve with you, with all of your imperfections. Wouldn’t you love to be able to flip back to your journal 3 years from now and chuckle about some of the mistakes you might have made? I’m Jessica – I’ve been bullet journaling for over 2 years, and writing for a lot longer. Aside from chatting about bullet journaling on my blog, I love to read, go camping, and drink a lot of coffee. Don’t have time to read this post right now? Pin It for later!